The home team hue snow jacket, Gucci pull over, and perfect hair cut confirms that Lil Crisp is my spirit animal. I only wear Rizal puffy jackets but he really makes me want to wander over to Moncler in ROD and try this red hooded puffy on. Props to Lil Crisp for the perfect storm outfit. His outfit is so on point i didn't even realize his dad vandalized this season's Burberry oversized cardigan like it's no big deal. 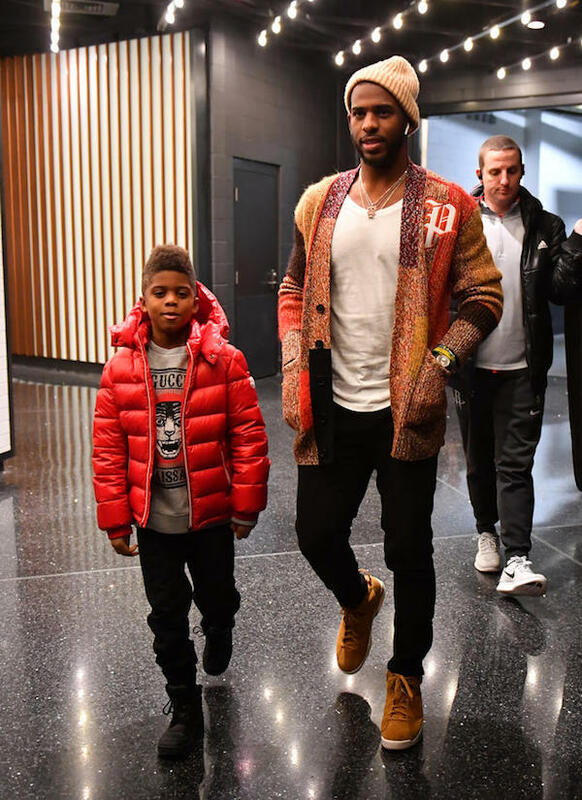 The best dressed award for pre-game style goes to the offspring of Houston's new team member, Chris Paul, at this Celtics match in December.